SSgA has tapped Thomas Anderson as head of the Strategy and Research Group at its Intermediary Business Group. Anderson reports to Anthony Rochte, senior managing director of SSgA Funds Management, Inc. at State Street Global Advisors. Previously, Anderson was a portfolio manager in SSgA's Charitable Asset Management Group (CAM). State Street Global Advisors (SSgA), the investment management arm of State Street Corporation (NYSE: STT) and the largest institutional fund manager in the world�, today announced that Thomas Anderson has joined its Intermediary Business Group as head of the Strategy and Research Group. Created in 2001, State Street�s Intermediary Business Group provides unmatched service to a growing client base of financial advisors, broker-dealers, registered investment advisors (RIAs), and family offices and represents more than $160 billion in assets under management. As head of the Strategy and Research Group, Mr. Anderson will direct State Street�s investment management and thought leadership for the Intermediary Business Group in North America. In this role, he will oversee a team of eight research strategists dedicated to providing customized portfolio solutions to financial advisors, asset managers, RIAs and family offices. Tom reports to Anthony Rochte, senior managing director of SSgA Funds Management, Inc. at State Street Global Advisors. Mr. Anderson is a Chartered Financial Analyst and joins SSgA�s Intermediary Business Group with 18 years of financial services experience. Most recently, he served as portfolio manager and investment team leader in State Street Global Advisor�s Charitable Asset Management Group (CAM). In this capacity, he was responsible for setting asset allocation strategy and managing charitable gift portfolios for all CAM clients. 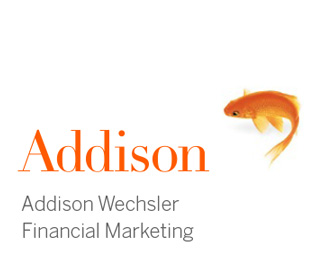 Prior to joining State Street in 1998, Mr. Anderson served as vice president, Marketing Services at Funds Distributor Inc., cultivating relationships with investment management firms. Mr. Anderson received a Bachelors degree from Colgate University and a Masters in Business Administration from Boston College. He holds the Chartered Financial Analyst designation and is a member of the CFA Institute and the Boston Securities Analysts Society. State Street Global Advisors, the investment management arm of State Street Corporation (NYSE: STT), delivers investment strategies and integrated solutions to clients worldwide across every asset class, investment approach and style. With $2.0 trillion in assets under management as of September 30, 2007, State Street Global Advisors has investment centers in Boston, Hong Kong, London, Milan, Montreal, Munich, Paris, Singapore, Sydney, Tokyo and Zurich, and offices in 25 cities worldwide. 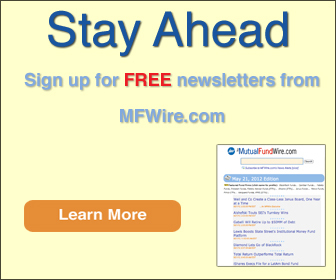 For more information, visit State Street Global Advisors at www.ssga.com.